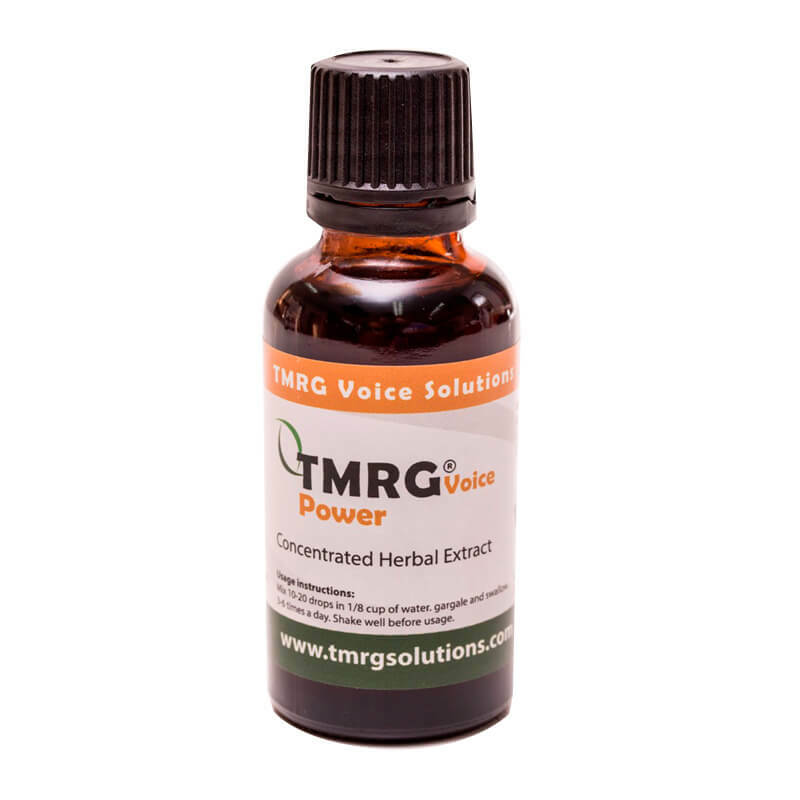 View cart “TMRG Powerful Vocal Recovery Kit (L)” has been added to your cart. Suitable for: The Voice Power- Fortified is for the experienced TMRG users, and may need a stronger, more powerful and faster solution. Description and effects: The ingredients are identical to the Classic products, but with a stronger concentration. How to use: shake before use – stir 10-20 drops with 2 teaspoons water in a glass, gargle and swallow. Use as needed up to 6 times a day. Note: Please note that due to the intense strength of this product it does have a “bitter” taste, but can be sweetened with honey, sugar or diluted with water. Storage: dry, cool and shaded place. Recommendation: Singers are advised to use a generous amount of the TMRG spray OR TMRG drops before every show. This is the entertainers’ secret solutions for the reduction of vocal lesions such as nodes and edema. Products can be combined together to create a cocktail of effective remedies for more intermediate vocal conditions or seriously overworked voices. A true entertainers secret solution performers love to use. “An opera singer having to deal with much vocal strains, and having an excellent vocal technique, I’ve always looked for that additional method of voice maintenance and preventing colds, allergies, and throat inflammations. 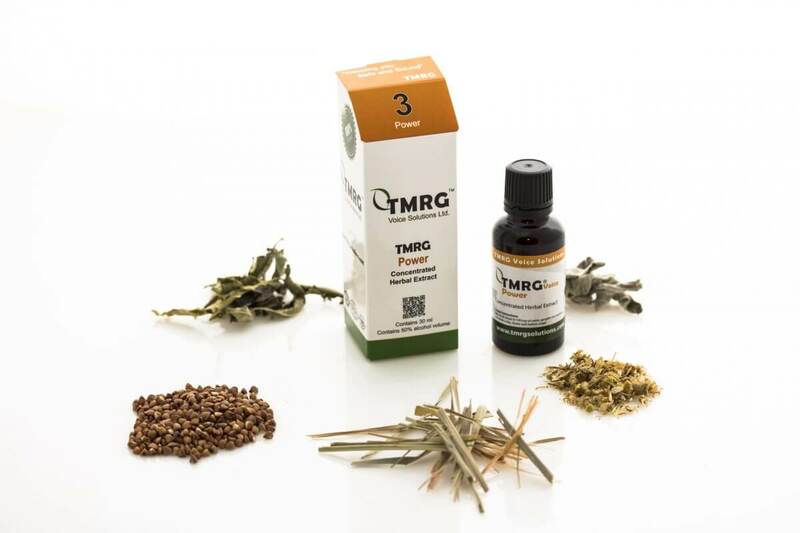 When I happened to find the natural-base TMRG products, I finally discovered what regularly maintains my vocal cords, preventing them from catching all kinds of viruses and external diseases, providing them with maximum protection and flexibility. Recently, I had a sequence of 12 extremely challenging concerts, with 2 performances a day, of hard-core operatic repertoire. TMRG is a great entertainers’ secret voice solution, a real remedy for a myriad of different vocal problems, but if the condition is chronic, complex or severe, e.g. – vocal fold blisters/edema etc, – it is highly advised that you consult the advice of a Doctor or ENT specialist in addition to using any of our specialized kits that deal with more serious vocal issues. Always consult your doctor or ENT specialist. Pregnant women, breastfeeding women, persons taking prescription drugs and children should consult a physician. Great product, Much stronger taste then the TMRG classic, but seems to work faster too.